The SME Policy Index is a benchmarking tool that assists emerging economies in monitoring and evaluating progress in policies that support small and medium-sized enterprises. This first application of the Index methodology in the Latin American and Caribbean region covers the four Pacific Alliance member countries (Chile, Colombia, Mexico, Peru) and three participating South American countries (Argentina, Ecuador, Uruguay). Divided into seven policy dimensions, this report assesses the strengths and weaknesses that exist in different areas of SME policy design, implementation, and monitoring and evaluation, and provides guidance to policy makers in identifying policy areas for future reform according to international good practices. 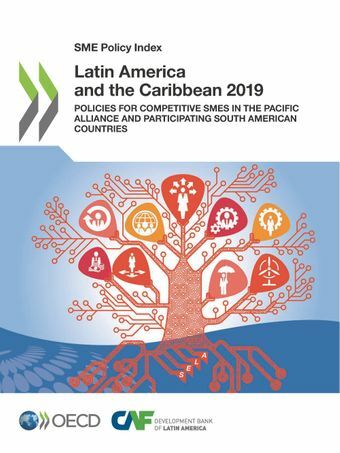 This report is a joint effort between the Development Bank of Latin America (CAF) and the OECD through its Latin America and the Caribbean Regional Programme (LACRP), in co-operation with the Latin American and Caribbean Economic System (SELA) and the “Foundation for the Strategic Analysis and Development of the SME” (FAEDPYME).